HOW scary is Amy Winehouse? If farmers need something scary to stand around in a field all day, why not put on a music festival and invite Max Hastings to attend? 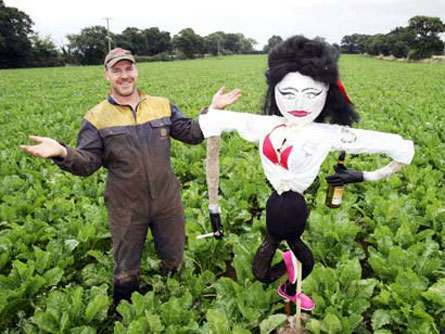 “She’s the best scarecrow we’ve ever had and she’s doing a brilliant job. In fact she’s doing a better job scaring the birds than she is singing at the moment. “I’d be happy to offer her a full time job if she needs one when the singing is over”.